In all, than 12 terrorists have been killed by security forces near the Line of Control in Jammu and Kashmir over the last three days. An infiltration attempt was blocked in Jammu and Kashmir's Uri. 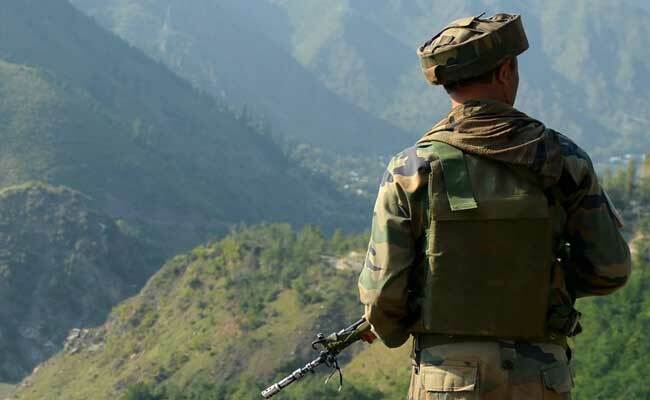 Uri: Five terrorists have been killed in Uri sector Jammu and Kashmir's Baramulla district after security forces said they have blocked a major infiltration attempt. The operation, which began 30 hours ago, is still underway, they said. With this the number of infiltrators killed near the Line of Control in the last three days has risen to 12. One army soldier was also killed yesterday. Officials said the army spotted a heavily-armed group of terrorists at the Kikker post on Wednesday evening. After a long search operation, security forces located the terrorists and in the ensuing encounter five infiltrators were killed. The army said it suspects more terrorists could be in the area and a search operation is underway. In last 48 hours, army said that troops have foiled four infiltration attempts in Gurez, Machil, Nougam and Uri sectors along the Line of Control.